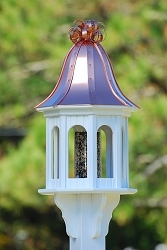 Attract Colonizing Purple Martins To Your Yard! 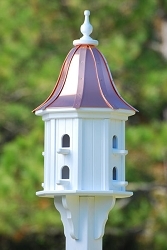 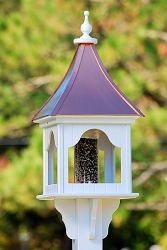 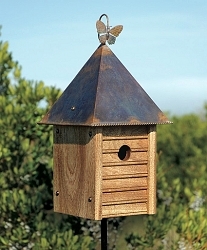 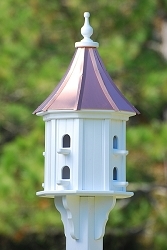 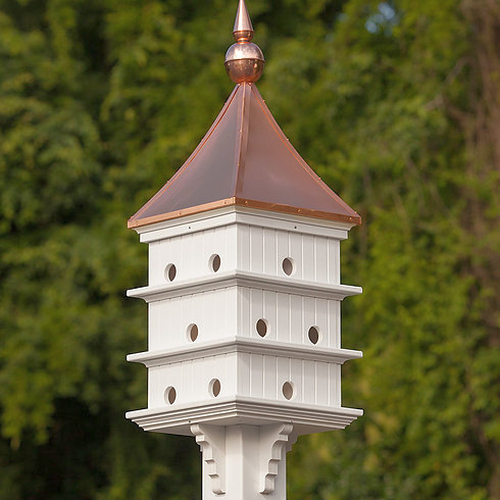 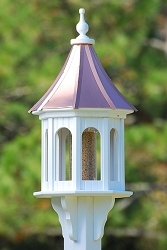 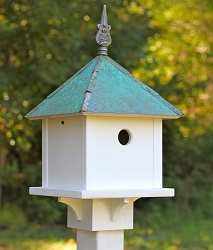 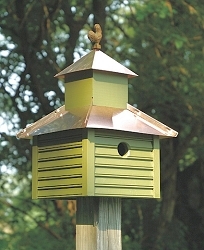 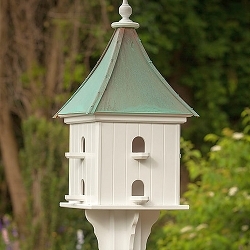 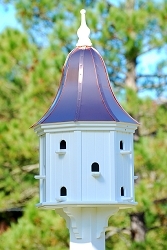 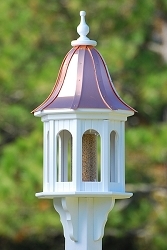 Fancy Purple Martin House 18" Twelve Compartment with Bright Copper Roof - Measures 52" high x 17" wide, octagon shaped, PVC construction, 12 nesting compartments with approx. 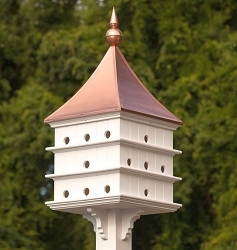 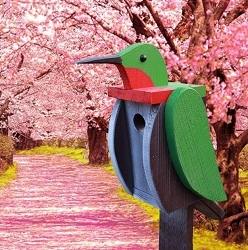 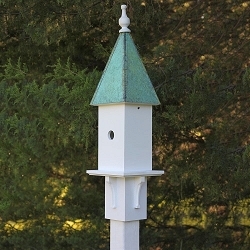 1-7/8" openings perfect for attracting Purple martins, brackets attached, removable solid copper roof for easy cleaning, fits on 6" x 6" vinyl sleeve post which fits over 5 1/2" x 5 1/2" pressure treated wood post. 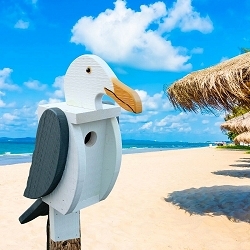 Vinyl sleeve and wood mounting posts sold separately. 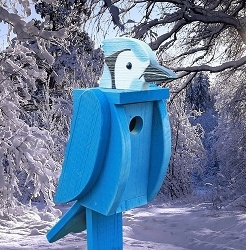 These can be purchased at your local home improvement store or lumber yard. 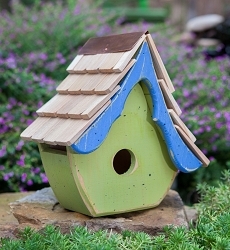 Note: Dimensionally oversized item. 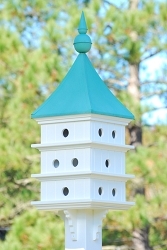 Additional shipping may be required depending on order size and destination zone.